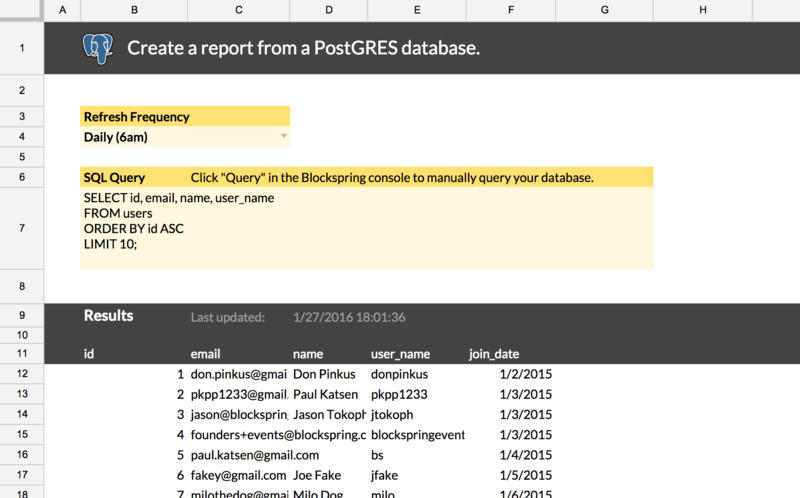 Set up a report that always stays up-to-date with your Postgres database. Enter a SQL query and an update frequency, and the resulting data will always stay up to date in your spreadsheet. Queries can run up to 8 minutes at a time.